• Provides 12 x 10A channels of switching output. • Programmable via the learn mode feature or using the C-Bus Toolkit Software. • Programmed variables are stored in non-volatile memory and are retained in case of loss of mains or C-Bus power. • Local and remote on/off control independent of C-Bus communications. • Programmable power up state following power cycling. • Logic states (max/min) programmable using the C-Bus Toolkit Software. 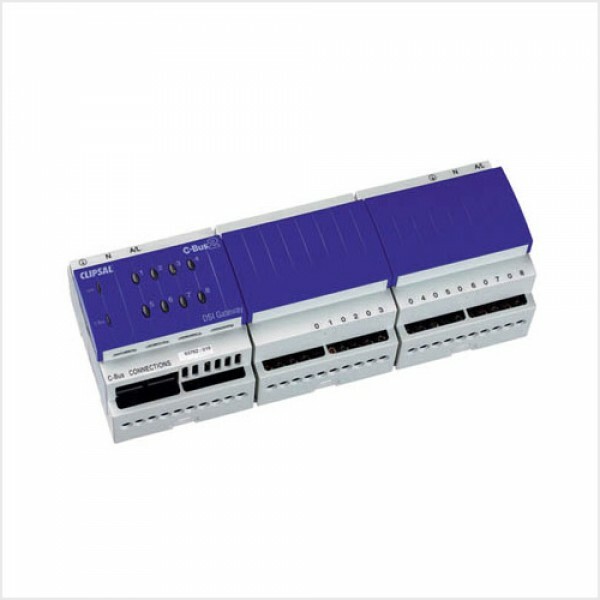 • Features magnetically latched relays that hold state in case of loss of C-Bus communications. • Designed to fit standard 35mm top hat DIN rail, measures just 12M in size. • Designed to fit into standard electrical switchboards. • RCM (Australia/New Zealand), CE (European Community) compliant.